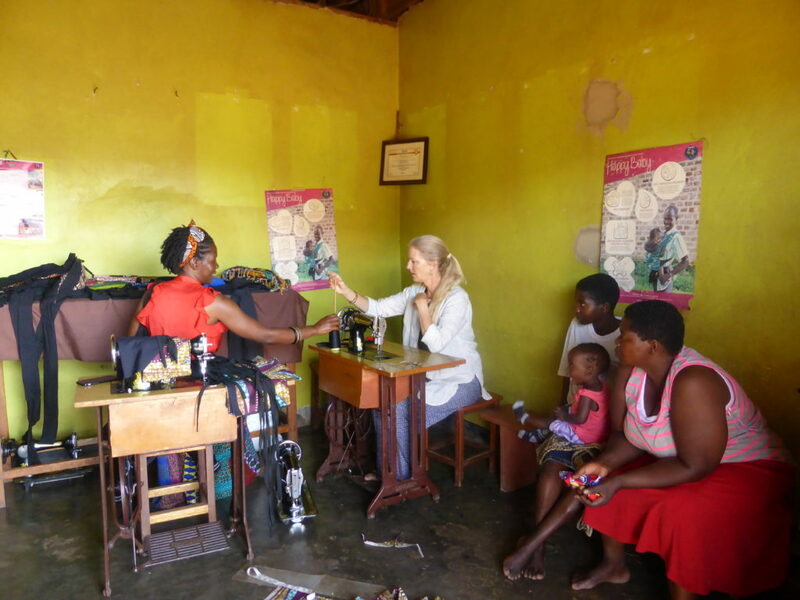 On Tuesday, the 3rd of July, our team visited the Happy Baby stitchery in Nkokonjeru. We met the tailors, who have been part of the project since 2013. As a result, Karin, the tailors and Project Leader Josephine Nalugo were able to brainstorm on how the carrier could be improved. Without delay, they started making improvements in the cost and production time. Therefore, the morning turned into a capacity building workshop. Our collaboration lead to the creation a new and simpler carrier. We learned more about the organization of the stitchery during the workshop. Currently, we employ two full time Happy Baby tailors, Scolastier Nabigavre and Phylomen Nayonjo. We also have five tailors who sew Happy Baby Carriers at home. 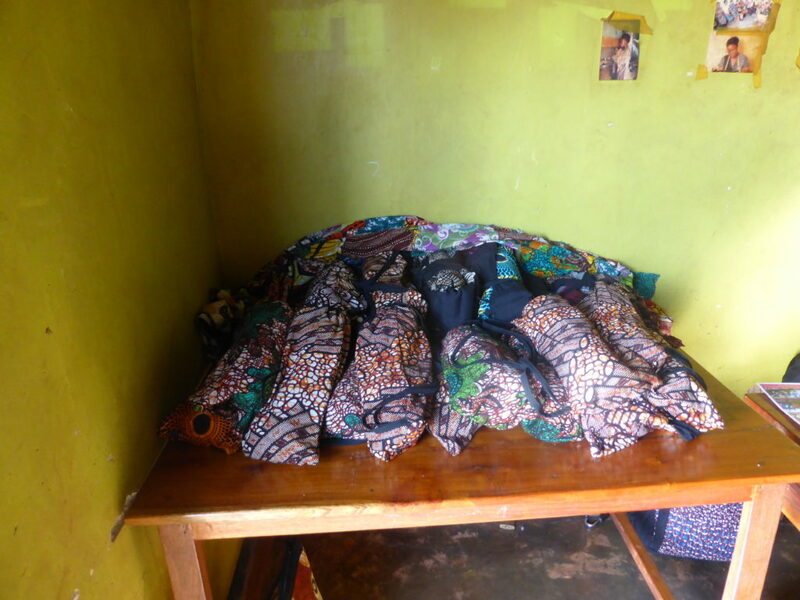 Fatumah is able to sew four carriers a week and Nakajeero can produce three. Additionally, Hawa, Betty and Clair can each make three. The home tailors have their own businesses and therefore can only produce a limited number of Happy Baby Carriers per week. A table full of finished Happy Baby Carriers, ready for distribution. As a result of employing two full time tailors, the Happy Baby Stitchery can open daily. Hence, our tailors can cut 104 and stitch 40 Happy Baby Carriers a month. The five home tailors will receive pre-cut material to produce 64 additional carriers a month. Josephine recognized Scolastier as our manager of the Happy Baby Stitchery. She is responsible for cutting the patterns and bringing them to the home tailors once a week. Scolastier is also in charge of quality control of the home made carriers. This structure brings more autonomy to the stitchery and will free Project Leader Josephine of some responsibility. With this intention, we are anticipating that she can dedicate more time to raising awareness and educating the community.